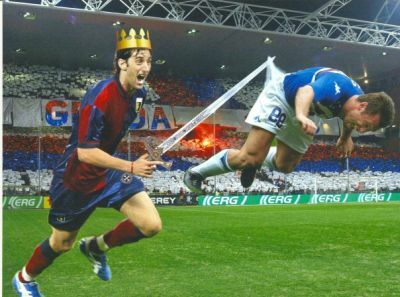 The Derby della Lanterna, italian for the “Derby of the Lighthouse“, is Genoa‘s local derby, played by U.C. Sampdoria, and Genoa C.F.C. It takes place in the Luigi Ferraris Stadium, which both clubs share. The derby’s name is derived from the Torre della Lanterna, the ancient landmark and the main lighthouse for the city’s port. Club supporters traditionally came from different parts of the city, with Genoa supporters coming from the city center, and Sampdoria ones from the surrounding areas, and this historical divide boosts a certain animosity between the factions, although not as much as that in Milan and Romederbies. 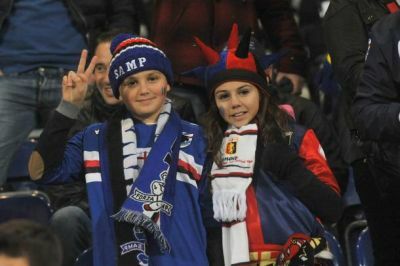 The rivalry is also fueled by the fact that Genoa has a long history, (being Italy’s oldest football club, actually) while Sampdoria is the country’s newest continuously operating club. Total: 9 victories of Genoa, 4 draws and 6 victories of Sampdoria, but the last 9 derbies gave us 6 victories and 1 draw.